Peel, divine and butterfly shrimp. Leave the tail on and set aside. Using a bowl mix flour, cornstarch, salt and ground pepper to taste. Mix the minced garlic and the beaten eggs. Dip each shrimp on the flour mixture then the egg mixture then bread crumb mixture. Set aside. Using a deep pan heat cooking oil in medium low heat. 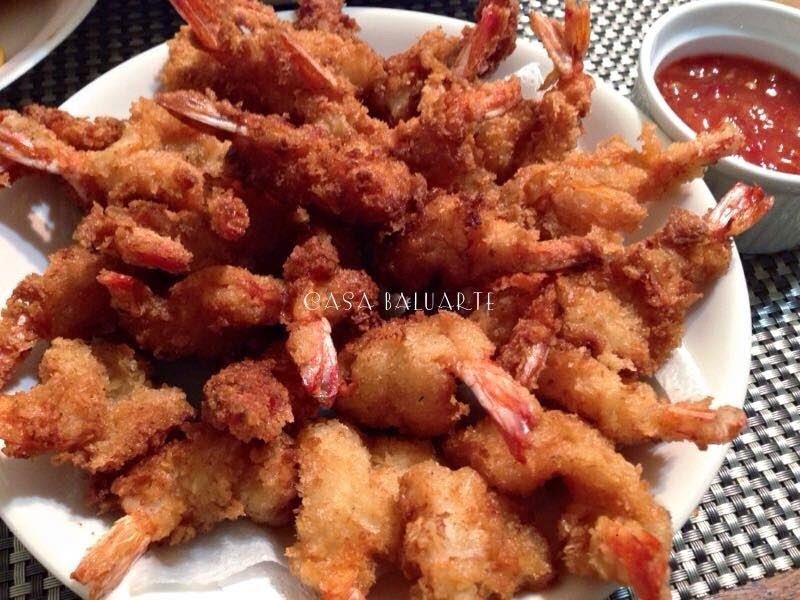 Pan fry the battered shrimp one by one till golden brown. Drain cooked shrimp on paper towel. Serve with sweet and sour chili sauce.